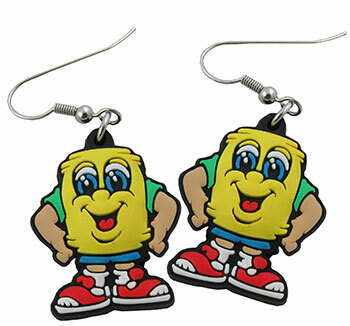 Kids and adults will love wearing these Buddy Barrel earrings. These earrings feature the bright colors of Buddy Barrel. Earrings come with “J” hooks. Packaging: Each pair comes polybagged.